This packaging has got to be the chic-est I've ever had for a lipbalm. It's not your usual plastic twist-up stick and it's not in a mini jar. 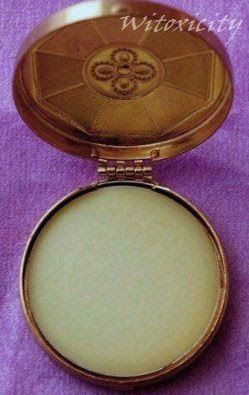 This one's in a vintage Princess Pat rouge compact. Quaint, ain't it? Warning: Verbose article ahead. 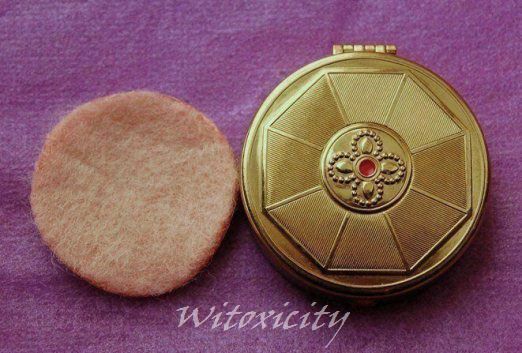 The compact somehow gets a lot more attention here than the lipbalm does. The Andrea Garland brand certainly has a very unique selling proposition. In this age of Reduce, Re-use and Recycle, Ms Garland, an aromatherapist (according to its website), puts old, used tins, compacts and pill boxes to very good use. What we used to call bah, rubbish! is now lovingly christened antique or vintage. All it takes is just a change in mindset, no? .....all ingredients are natural, sourced from ethical suppliers and as many as possible are organic to ensure a more considerate, holistic and gentle approach to skincare. Absolutely none of the ingredients, or indeed, the products have been tested on animals. Ms. Garland deserves a pat on the back, don't you think? I bought my Lovely Lip Balm last year when I visited the then newly-opened eco-beauty store, C. Cosmetics & Care, in Amsterdam (image above). You can read my write-up on the store here. I waited a few months before I started using this lipbalm (as I had other lipbalms in the queue - I have an insuppressible obsession for natural lipbalms) and then, I procrastinated writing about it (because there were other lipbalms in the queue!). My version is cocoa butter-based and the new version, shea butter, and there was no red raspberry seed oil previously. In any case, I'm pretty sure the current version is just as good, or even better, than before. Mine had a subtle citrusy scent. Well, I did finish the lipbalm and I have to say that it is top-grade stuff. One good application keeps the lips nicely moisturised for several hours. We are after all talking about old stuff here. Andrea Garland assures us that all tins are washed, sterilised and lined (where appropriate) before they are filled. Andrea Garland uses a big assortment of vintage containers: anything from Avon eyeshadow compacts from the 70s to ornate pill boxes and animal brooches. You have the sweet and elegant and then, you have the cute and kitsch. However, because these containers are vintage, some are one-offs and what you see on the website one day may not be available anymore some time later. Beautiful 1930's rouge Princess Pat goldtone compact with art deco design complete with a red, floral centre piece. 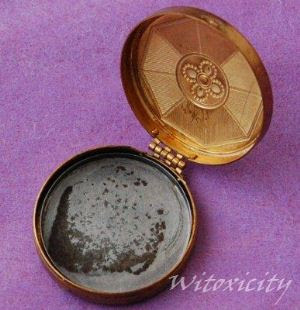 Has a mirror inside and is full of lovely lip balm, a unique and novel way to store this vital beauty necessity. All the products are vintage and do vary individually, some do come with mirrors and some don't. The particular one on my website does have a mirror, the one that was sent to Amsterdam didn't. Mirrors unfortunately are not a standard feature as some mirrors are cracked when I get them and I have then have to remove them. Other mirrors don't make it through the cleaning process. On wholesale orders to shops, I deliberately don't specify if they have mirrors or not as each item, because of the vintage nature, does vary slightly. That was fair enough. The fact that my compact missed a mirror was unfortunate (there's some value shaved off) but I dwelled no further on that matter. 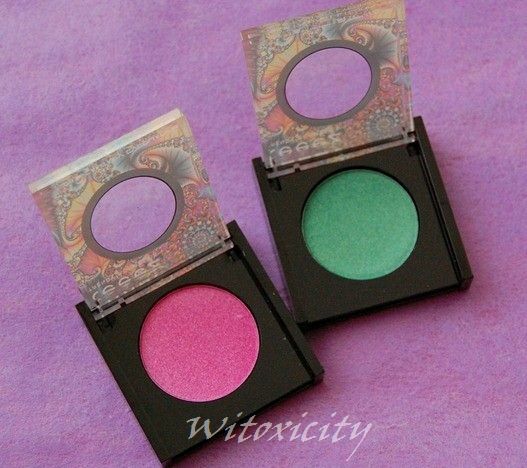 My compact did come with the original rouge puff though! This ain't cheap. You are essentially paying a premium because of the vintage container, so really, only a small portion of the price you're paying is for the lipbalm itself. My Lovely Lip Balm cost around [gulp] €27. It contained 5ml of lipbalm. I believe it was £22 on the website at that time. Er, yes, what in the world was I thinking?!?! €27 for a lipbalm?! I plead temporary insanity. So, then, I rationalised. You see, once the lipbalm is finished, you can actually send your empty vintage container back to Andrea Garland for a refill (waste not). The price of refills varies from product to product and from container to container. In my case, the ticket on the packaging says that a refill costs £5 (plus a couple of £'s for postage). So, the more times you use up the lipbalm and send in for refills, the lower would be the average cost of 'each' Andrea Garland Lovely Lip Balm. Correct? My compact closes with a light snap. However, it isn't the easiest to open, not because it shuts tightly but because the two parts to be pried open are so shallow that they are a bit hard to grip. This isn't a big issue but it is irritating at times. Of course, what I experienced with my compact may not necessarily apply to other compacts in the Andrea Garland collection. 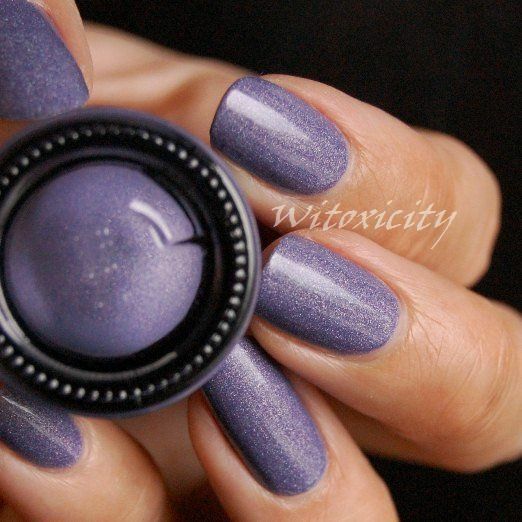 The lipbalm is fairly solid, so it needs quite a bit of rubbing with the finger to melt it. I tend to go round and round in the pan to get the lipbalm on my finger but as a result, some melted lipbalm gets pushed outwards and ends up on the side of the compact. It needs to be wiped off quickly. 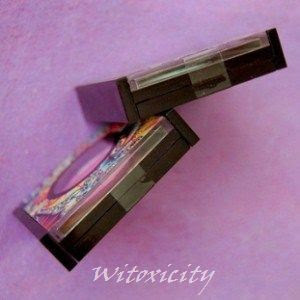 I once left it as it was and due to contact with the metal of the compact, the odd bits of lipbalm turned into a greenish goop. Umm, it was not a pretty sight. 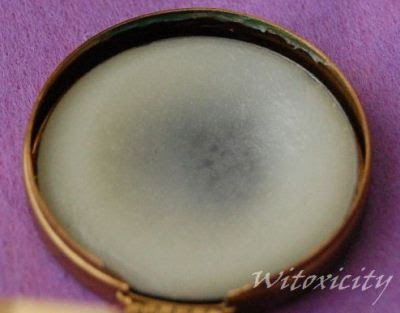 Because of the way the lipbalm is rubbed (round and round), it dents in the middle first, eventually forming a 'doughnut' shape. The greenish goop business does get worse over time. Having a gap between the metal pan and the compact doesn't help matters either. The answer would be No. Frankly, I have mixed feelings about my purchase and in some ways I do regret buying it. 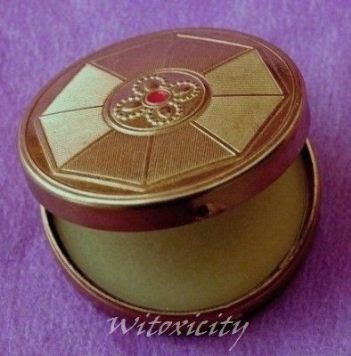 On one hand, I now own a cool piece of vintage compact from the 1930s (I do collect antique and vintage stuff) but on the other hand, I didn't like how the compact held the lipbalm. I would rather keep the compact either for display or for storage of say, small items of jewellery. 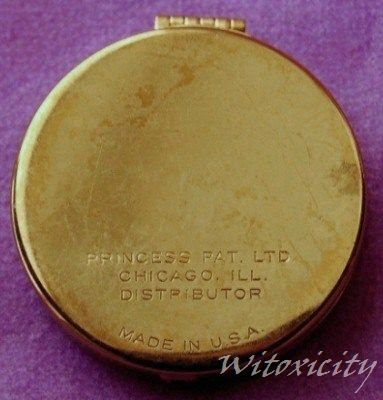 By the way, vintage Princess Pat rouge compacts can be purchased online - just Google it up. 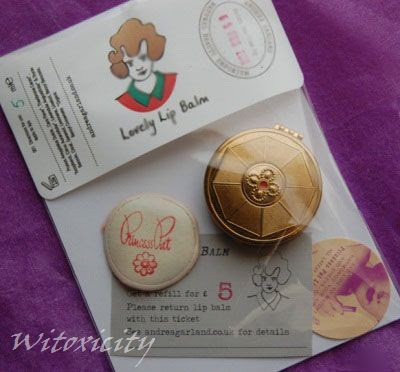 The prices of the Andrea Garland Lovely Lip Balms range from £16 to £26. The Andrea Garland Rosy Facial Beauty Balms and Sore Muscle Balms are priced £30 and above (these are in much larger vintage containers). 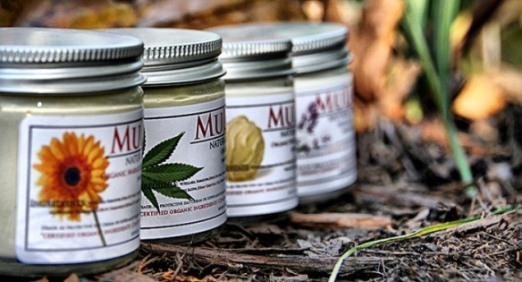 If you didn't know already, MuLondon is one of my favourite brands of natural organic moisturisers. 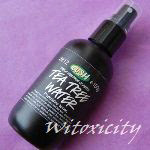 They are handmade, highly concentrated (as they contain no water), paraben-free and vegan. Mind you, I'm not just paying lip service here. With the exception of the Organic Rose and the Organic Lavender Moisturisers which were samples sent with my online orders, the MuLondon moisturisers I have tried were my own purchase. 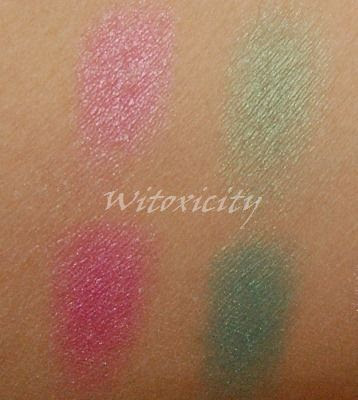 In fact, I like them so much that I have also been buying them as gifts for my Mum, my Aunt and my friends. 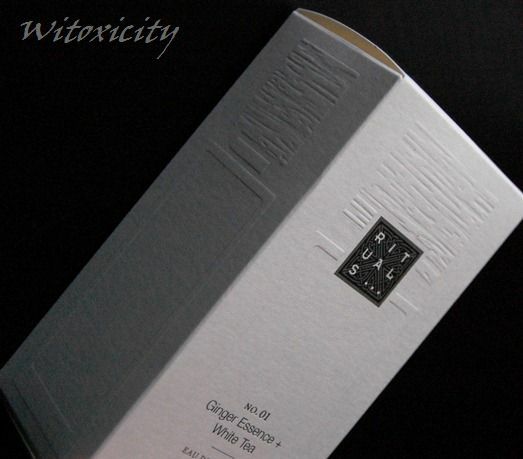 I would love to give a few readers of Witoxicity a chance to try MuLondon's moisturisers themselves. So, I'm very pleased to say that Boris, the founder of MuLondon (and self-professed Head Cream Whipper), has agreed to sponsor another giveaway for my readers. Thank you very much, Boris! There will be 3 winners with each winning one jar of moisturiser of his/her choice. 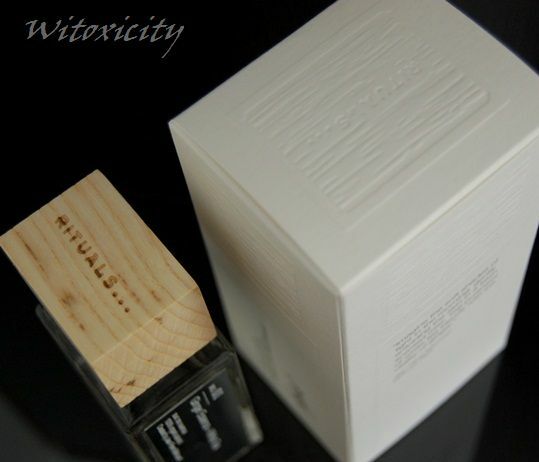 - All my posts on Brand: MuLondon. 4. Fill in the form below (now removed). • Tell Boris: Why would you like to try his moisturisers? / What makes MuLondon moisturisers unique? 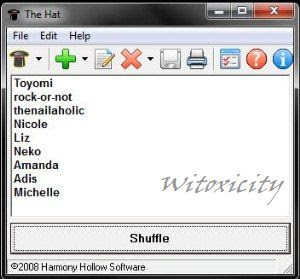 • feature this giveaway on your blog. Feel free to include the photo above. 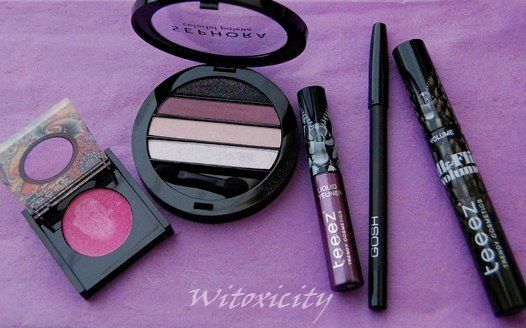 • feature this giveaway on your public Facebook. 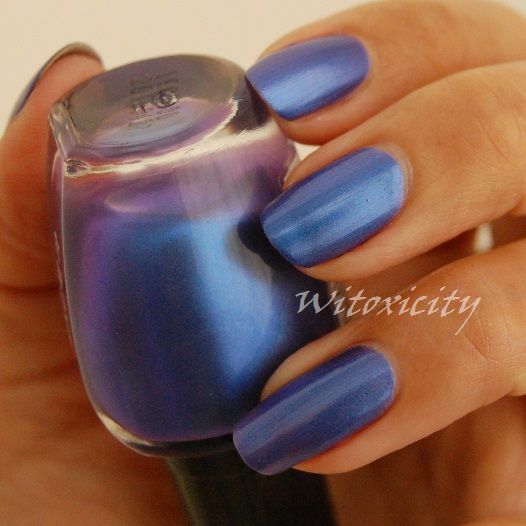 • become a fan of MuLondon on Facebook. 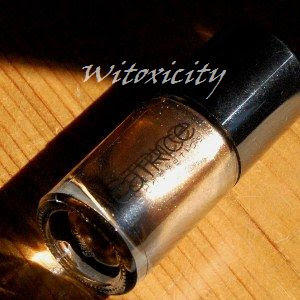 • follow @Witoxicity on Twitter. • follow @MuLondon on Twitter. 6. 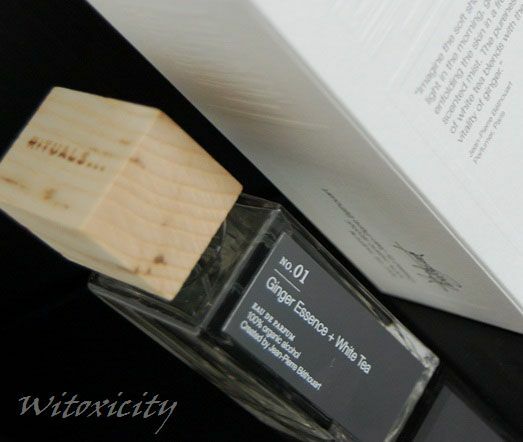 Submit your entry by latest 11.59pm (Central European Time) on Saturday, 16th July 2011. 7. 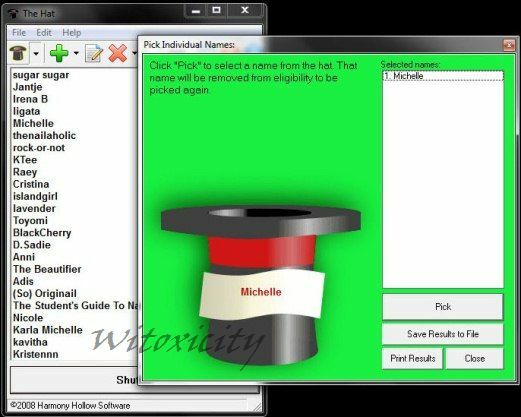 Winners will be picked randomly. I have written about how I use the MuLondon moisturisers here. 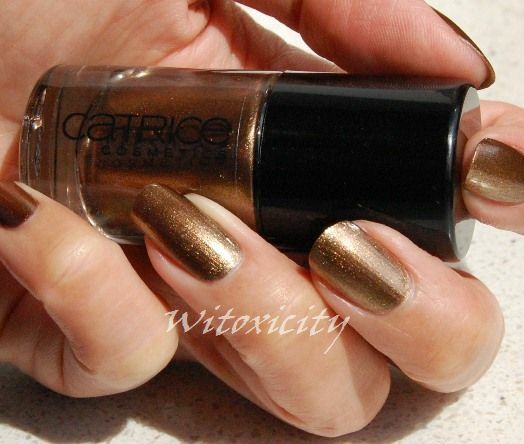 Big thanks to all who participated in the Catrice Dark Elegance Giveaway. The response was overwhelming! Congratulations to the both of you! I will be sending you emails very soon. Please respond within 72 hours and if I don't hear from you in this time, I will have to pick another winner. Hmmm, yes, perhaps you were expecting it. I have more. 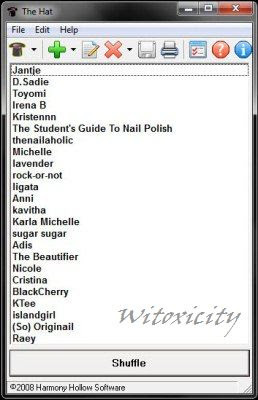 Here's another winner whose name is picked from the list of ladies who took the time and trouble to leave a comment under one of my Catrice posts - Dirty Berry - up to the time of publication of this winner announcement. The prize is none other than a bottle of Dirty Berry. Well, I'm in a giving mood, so I've got one more to give away - In The Bronx. As before, the ladies in the running to win one bottle of In The Bronx are those who left comments under that post up to the time of publication of this winner announcement. Congratulations! 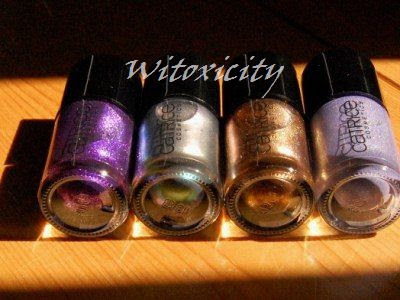 Michelle and Toyomi, please contact me with your postal details and I will send your polishes out to you. 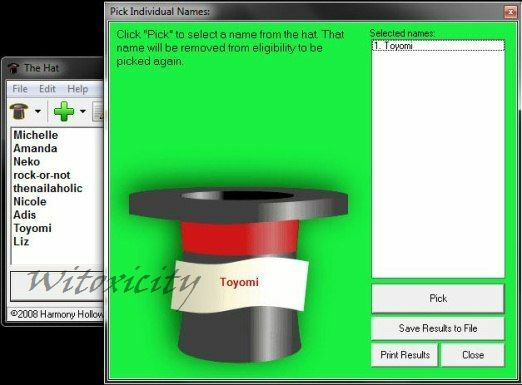 • Every care will be taken in sending out all the prizes but I will not be held responsible in the event that a package goes missing in transit or arrives damaged. 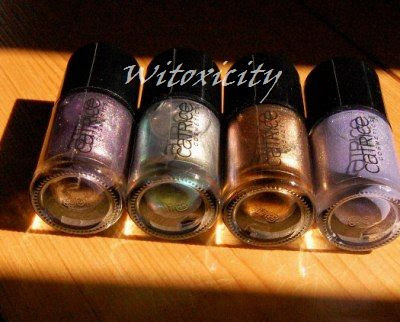 • The nail polishes are brand new and were my own purchase. Once again, thank you to all who participated and to those who always take the time to drop me a line. I appreciate your comments very much. More to come soon. Do stay tuned. 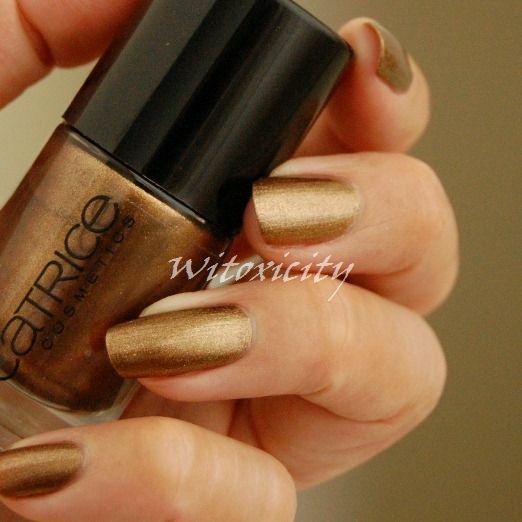 I get more and more impressed with each new Catrice nail polish that I wear. 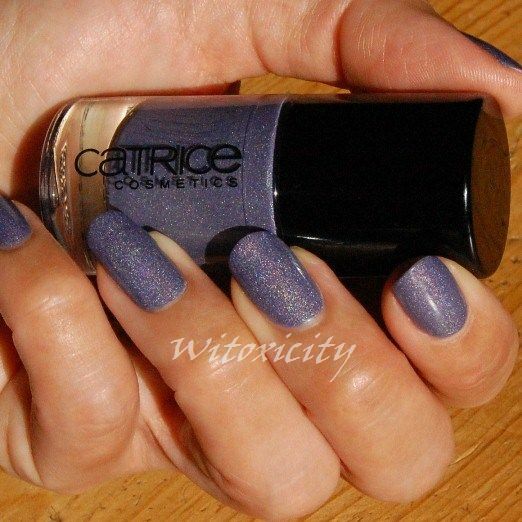 I've said it before and I will say it again: Catrice nail polishes come in 10ml bottles and they retail for €2.49 each (sometimes even less, when they are on special offer). You do get good value for your money. 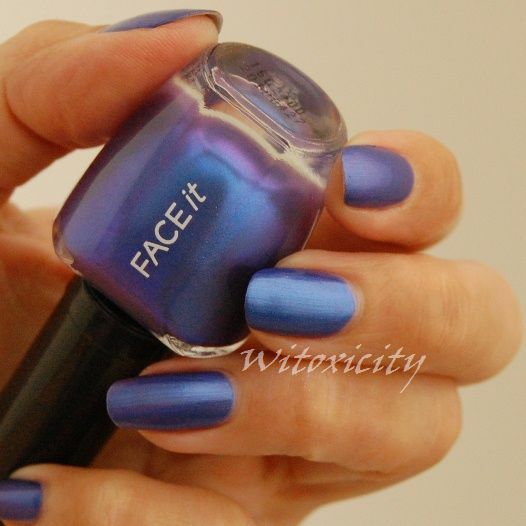 I take my hat off to Cosnova (which also owns Essence) for having done such a great job of revamping Catrice's collection (and brand image) last year. 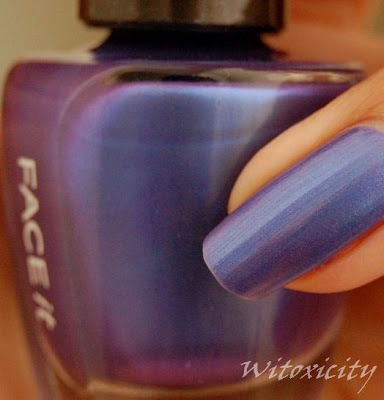 What used to be plain, staid and neglected is now oh-so-cool and much desired, especially its nail polishes. The one I'm featuring here is gorgeous but I doubt it is unique though. It's a bronze foil. 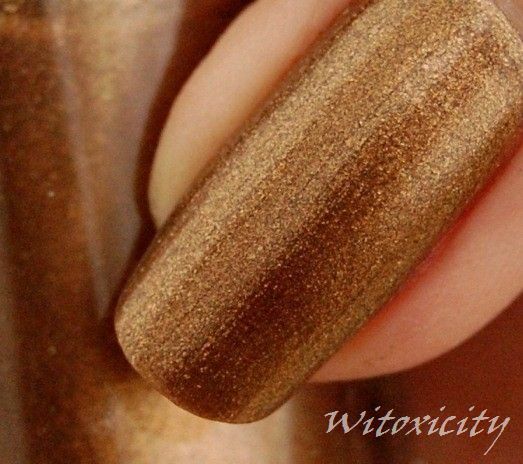 I wouldn't be surprised if you think this looks like a polish you have from other brands. As for me, In The Bronx reminds me of KOH Bronzation, minus the flakies. 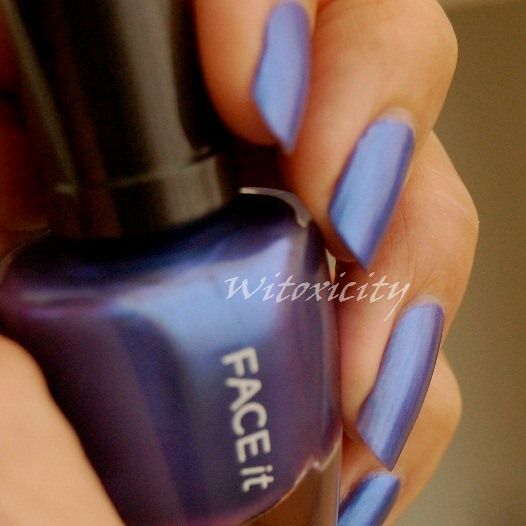 Two coats would suffice. 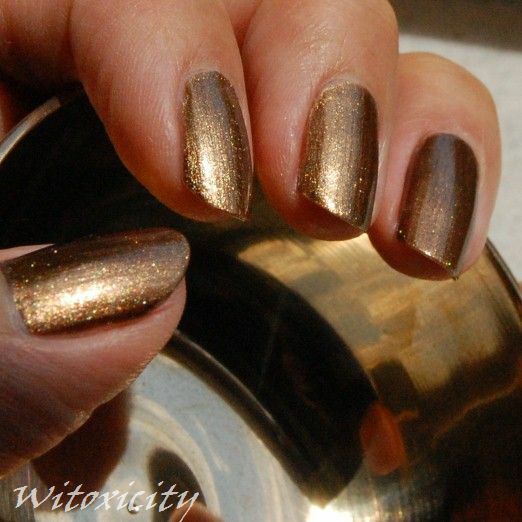 I did three coats here to get a deeper, darker shade of bronze. There was nothing unusual during or after application. Drying time was not an issue and durability was average. Basically, everything went smoothly. Here's In The Bronx with my bronze singing bowl (again!). 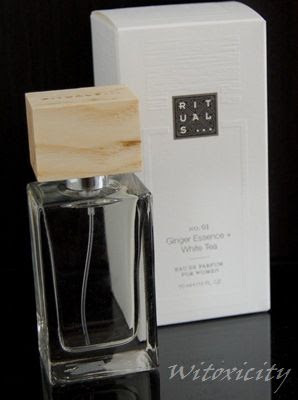 See also Good Vibrations From A Singing Bowl and In Matte at Witoxichic. 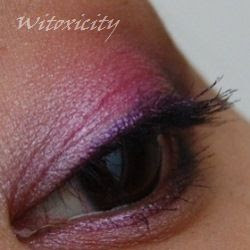 I wore this eye look the other day using the pink eyeshadow from Teeez. 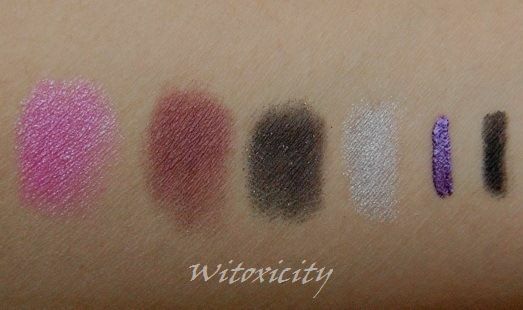 Since I haven't got deep-set eyes, I did my usual: darkened the outer edges, this time with burgundy and black eyeshadows from one of Sephora's old range of eyeshadow palettes. 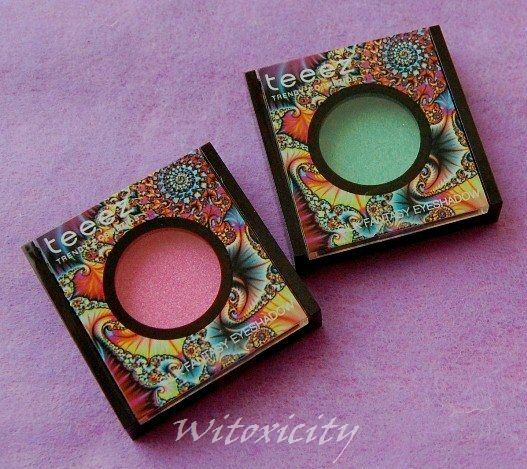 Note: The Silk Fantasy Eyeshadow and the Full & Flirty Volume Mascara were sent by Teeez. 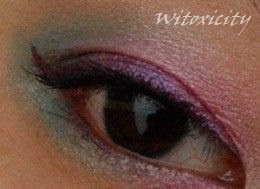 • a hint of white on the brow bone area. 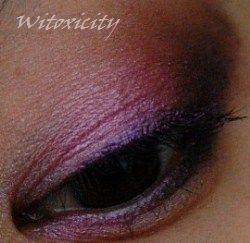 As I was testing the Teeez eyeshadow at that time, I took a photo of the eye makeup about four and a half hours later. 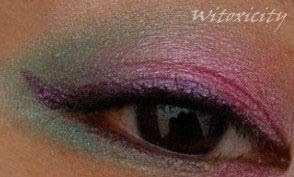 Little has changed with the pink eyeshadow. Creasing in the inner corner did start sometime after the five-hour mark. Dirty Berry is a simple but curious one. 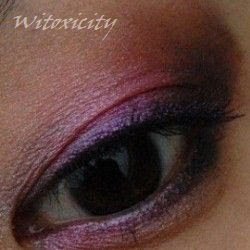 It is lilac, lavender, blue and grey all thrown into one. 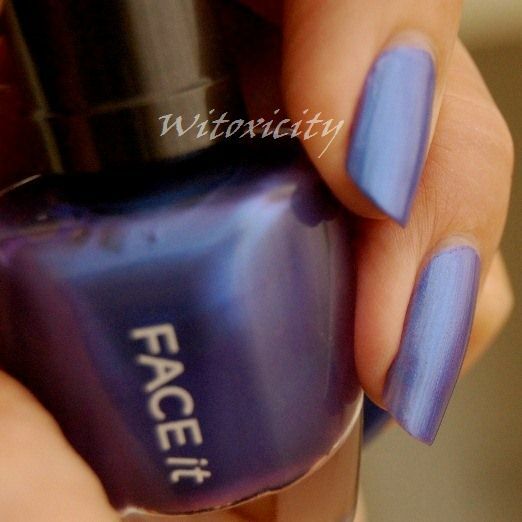 In poor lighting, I would call it slate blue. I've got three coats on here. 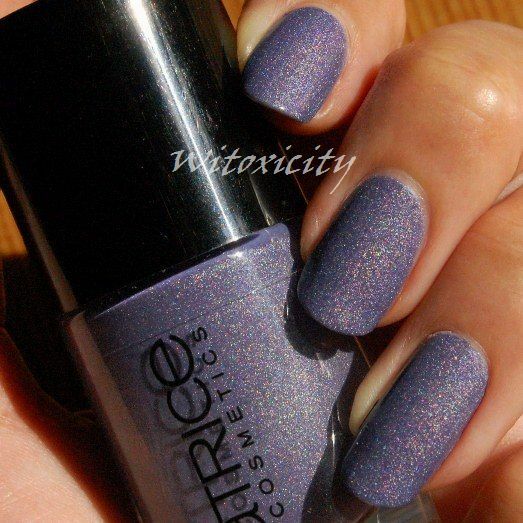 Dirty Berry is not a bold holo. It is in fact so half-hearted that I wasn't even sure if it was one. It looked like it had only silver micro-glitters just like with Forget-Me-Not. However, if you looked closely and if you viewed it at the right angle, you just might see the micro-prisms. 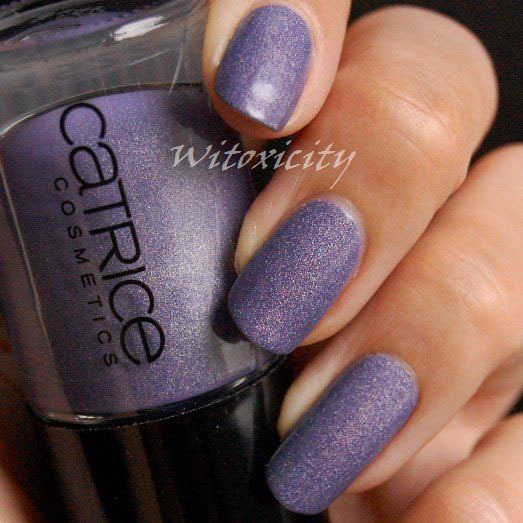 The ongoing Catrice Dark Elegance Giveaway features Dirty Berry. 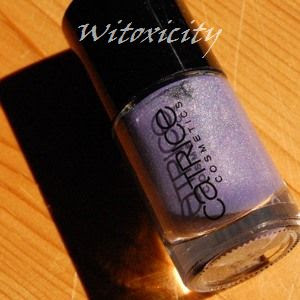 Have a look at the gallery for my other Catrice nail polishes.